The Government announces plans to further encourage SMEs to apply for public sector and government contracts. 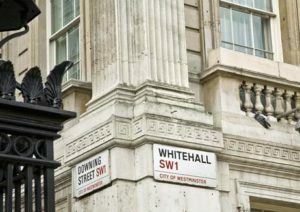 Last week, Cabinet Office Minister Oliver Dowden announced a package of proposals from the UK Government designed to help remove barriers to SMEs seeking to win more government and public sector contracts. Suppliers could be excluded from major government procurements if they cannot prove they undertake fair and effective payment practises with their subcontractors. In addition, subcontractors will have greater access to buying authorities to report poor payment practise. The government has set itself a target that 33% of procurement spending should be with small businesses by 2022, yet concerns about late payment can be a real deterrent to SMEs bidding for public sector and government contracts. On the strength of these new rulings, it is hoped that smaller businesses will be encouraged to bid for more contracts. Other measures to be introduced include the requirement for suppliers to advertise subcontracting opportunities through the government Contract Finders website, allowing greater access for all. They will also have to provide the government with information demonstrating how businesses in their supply chain, including small businesses, are benefitting from supplying to central government. Further, the Prime Minister has written to Cabinet members to instruct them to nominate a Small Business Champion for each Department, in order to ensure SMEs are given fair opportunities. Oliver Dowden called small businesses “the backbone of the British economy”, which play a “key role in helping us build a strong, viable private sector that delivers value for taxpayers and jobs for millions all over the UK”. He believes that the tough new measures will “level the playing field”. According to the most recent figures from 2015/16, the government said that it spent £5.6 billion directly with small businesses, and taking into account subcontracts to small businesses from large suppliers, the spend was £12.2 billion. It is hoped that the proposed measures will ensure that more SMES will be able to supply goods and services to the public sector, whilst at the same time making the public procurement process more transparent.